Last Saturday, the three of us packed our bags and headed to the home of friends who have become like a family to us, K's host family from his Junior year abroad. Molly lives about an hour and a half from them by train and when they heard that we were coming to visit, they insisted that we extend our trip because the 3 days we planned to stay with them was simply not long enough. 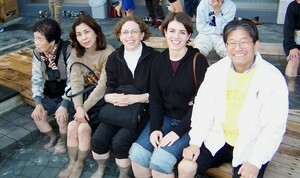 Their kindness to our family over the past 5+ years has known no bounds and we've shared many good times, both in Japan and in our home. 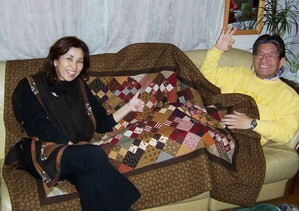 This is where the quilt was delivered. And happily received. 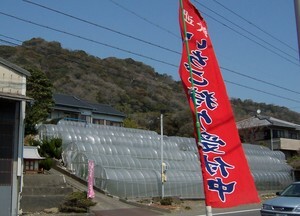 Shortly after our arrival, they told us that since the weather would be nice on Sunday, the plans were to go to Shizuoka to pick strawberries. It turned out to be a most memorable day! We were ready to go at 9:00am when a small bus pulled up in front of the house, driven by their SIL, a junior high soccer coach with use of the team bus for the weekend. On board was his young family, as well as various aunts, uncles and grandparents. We climbed aboard for the scenic ride. 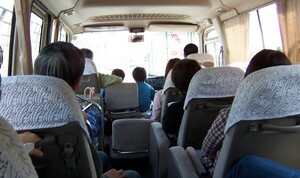 Can you believe this is a boys' team bus? 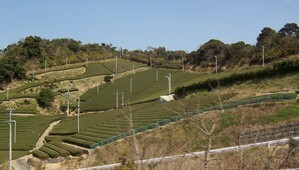 Green tea farm in Shizuoka. 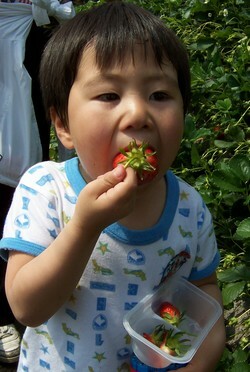 About two hours later, we started spotting hillside strawberry farms along the coast. After passing several (with employees along the way waving blow-up strawberries to entice motorists), we pulled into a lot and poured off the bus. Our hosts scurried into the small shop, emerging with handfuls of deep divided trays and small pots of sweet cream for each of us. 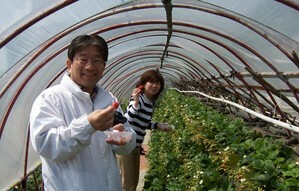 We followed a worker up the steep hillside steps where we were assigned several strawberry huts for our picking pleasure. You pick and eat your fill for the set price but you can't take any berries with you! Those you purchase at the shop as you leave. As with most of our outings on these trips, we are never quite sure if the stated event is *it* or not. Usually not. Reboarding the bus, we headed further east for lunch and a bit of shopping at S-Pulse Dream Plaza (the perfect place for a bleak). Too hazy to view Mt. 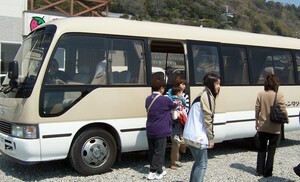 Fuji, we reassembled at 2:30 for the return trip. Thanks to our strong bladders, we got to check out the next new rest area that everyone (we were told) has been talking about. Whoa! Check this out! But that's not all! What's that over there? 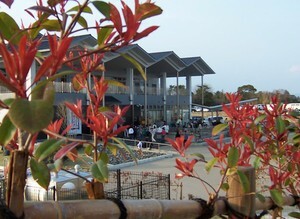 Why, it's an onsen (hot springs bath)! But since we don't have time for the full treatment, for 100 yen each (about 95 cents) we can enjoy a hot foot bath...and that also gets you a cute little towel to take along when you leave! 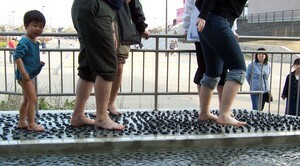 The water's pretty hot, especially down there at the end, but quite refreshing. And if you are so inclined (I wasn't), there is a section along the edge that is embedded with protruding pointy stones which you can walk on for further foot invigoration. As if that was not enough, after toweling off, we headed to the large shop on site to sample innumerable flavors of sembei (rice crackers), a regional specialty. 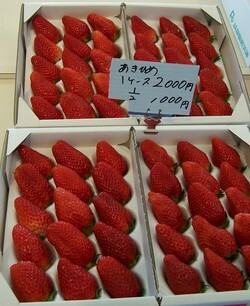 *Specialties* are very big in Japan. Almost anything you can eat, wear, plant, (or see!) is a specialty of some region, city, town or neighborhood. Phew. Long day, ending at home with a delicious meal, then early to bed to rest up for more adventures! After a wonderful, whirlwind two weeks of non-stop fun and frolic in Japan, we are finally home. Finally, I say, because our actual return took 25 ½ hours, due to delayed and reassigned flights. And here I am, wide awake after a scant 6 hours sleep over the last 48 hours…ahh, jet lag! Today I’ll sort through the suitcases, upload over 300 photos (don’t worry, I won’t be boring you with them all) and try to decide how best to organize and post what I’d like to share. 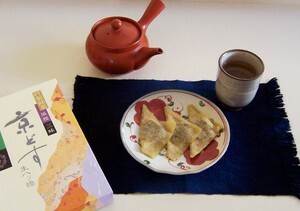 And I’ll do it all while indulging in perhaps my favorite delicacy of all, yatsuhashi. A whole box just for me, lovingly hand-carried home, the perfect transitional aid to readjusting to life in the heartland. Which doesn’t observe daylight savings time. Which has me thoroughly confused again as to what time it is, as if the jet lag isn’t enough to deal with. Don’t get me started. 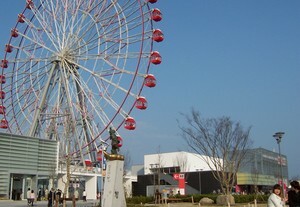 The trip to Osaka was a great success! We hunted down the elusive fabric shop, which turned out to be in a tiny little space in one of Japan's ubiquitous indoor malls. Upon first glance, it didn't look like much, but I ended up spending more time and yen there than I'd care to admit. We stayed in Osaka until evening, so as not to miss the fabulous night lights in the downtown district. As a result, we got in late, so no time for haul photo shoots. That will have to wait till I get home. 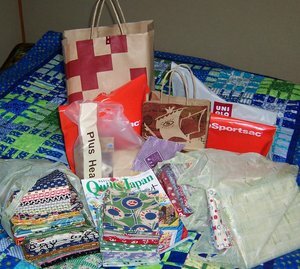 For now, just one quick shot of the results of a fun day of shoppingu! 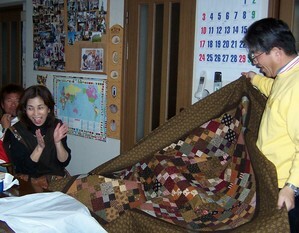 Shortly, we're all off to spend the last five days of our trip with K's host family (and deliver the quilt). We'll head for home from there on Thursday, so this will be my last post till then. Have a good week!